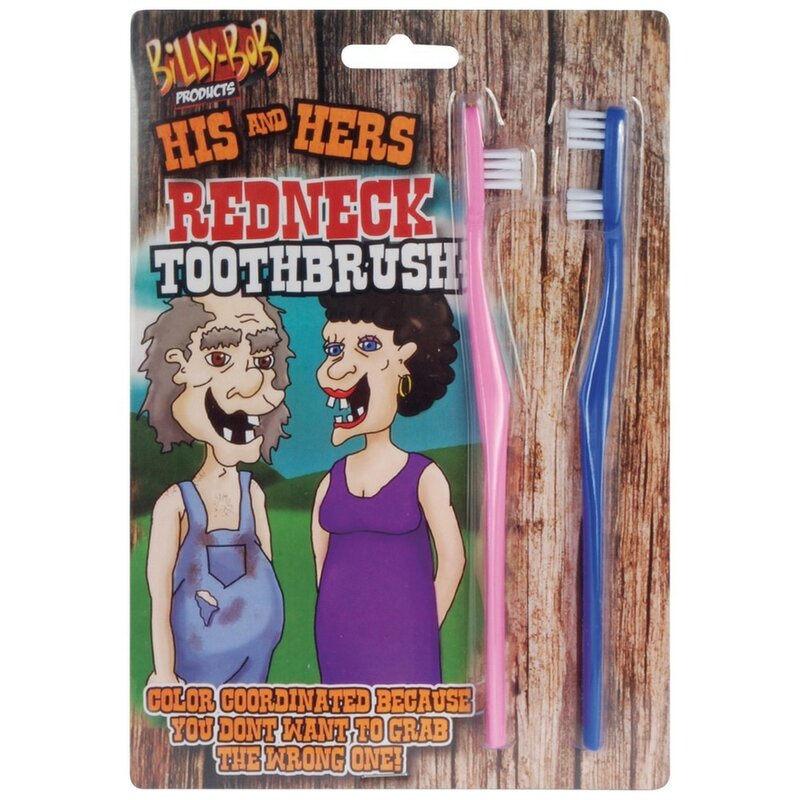 The Billy-Bob His & Hers Redneck Toothbrush Set is a great gag item for people who might be lacking in the tooth department. When you don't have a full set of teeth, you certainly don't need all those excess bristles that most "normal" toothbrushes have (they just get in the way! ).